*This month we are seeking photos of ACTION buses with red noses (including SNT Rosas). By submitting a photo which matches this criterion, you may post up to three photos - but all three must not be of the same bus. Submissions close midnight 26 June, Australian Eastern Standard time, although submissions may be closed early once 10 photos have been submitted. These are my two for this month's entry. 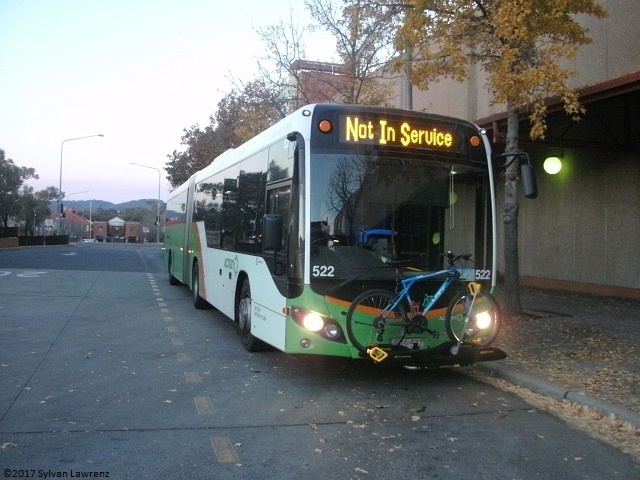 Moderator's note: Photo #2 is not eligible as it is not considered to be a photo of "a bus". 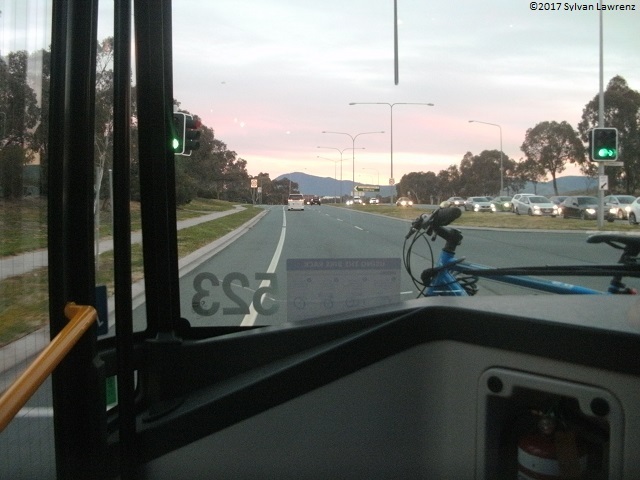 While the photo does contain part of the interior of a bus, a committee of moderators has ruled that this does not meet the definition of "a photograph which prominently features a bus". 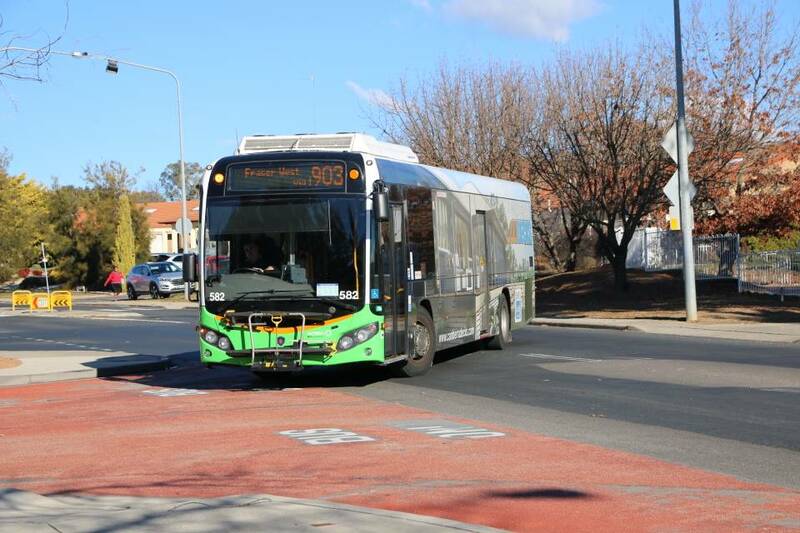 547 operates a route 9 along Chauvel Street, Campbell. 7558MO operates along London Cct. 475 travels along London Cct featuring a red nose and a waving driver. 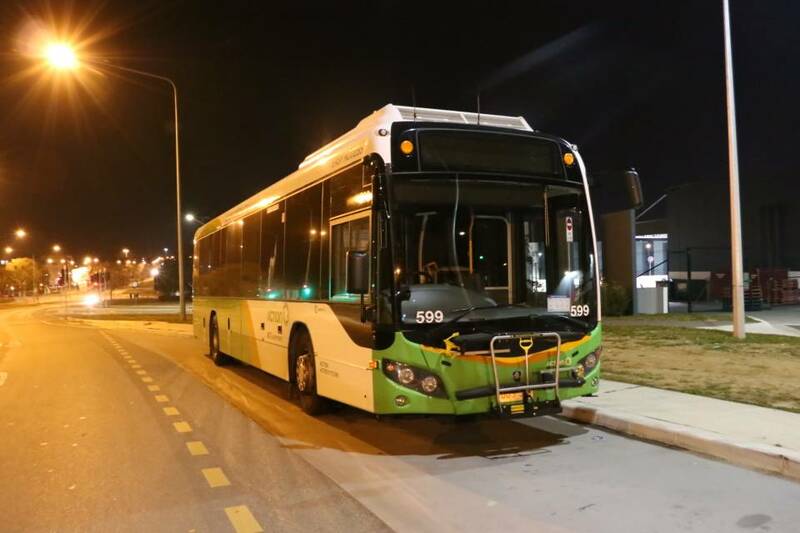 Bus 599 rests on Anthony Rolfe Avenue, Gungahlin. POTM bonus category for August will be bike racked artics.